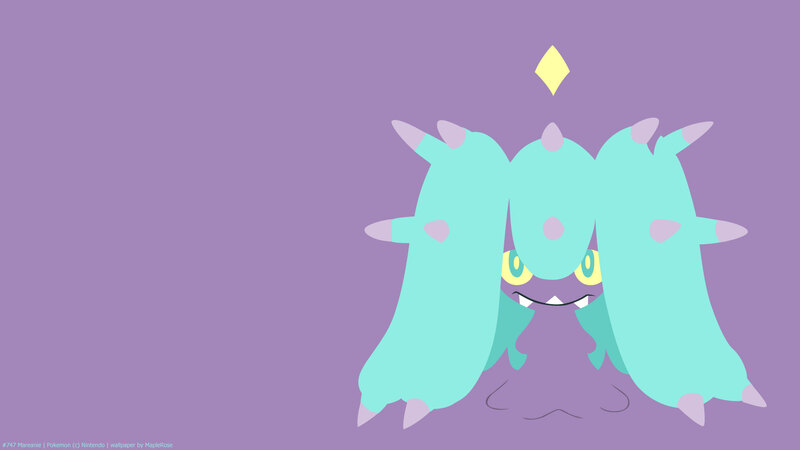 Known as the “Brutal Star Pokemon”, Mareanie is a big meanie, but I find it really cute. It’s one of my fave gen 7 Pokemon. It’s one of the few gen 7 Pokemon that aren’t revealed prior to the game coming out. I first heard about it from the lady whose Corsola was hurt. I actually first encountered and caught a Mareanie by pure coincidence; I wanted to catch a Corsola, so I weakened it, but it called for help before I could throw a ball, and as I defeated the other Corsola, suddenly a Mareanie appeared! Only later when I wanted to find a 2nd one, did I realize how rare the encounter rate was…. I remember I caught one in a Beast Ball, bred it so it would have the Beast Ball, and sent a bunch out through Wondertrade, haha. 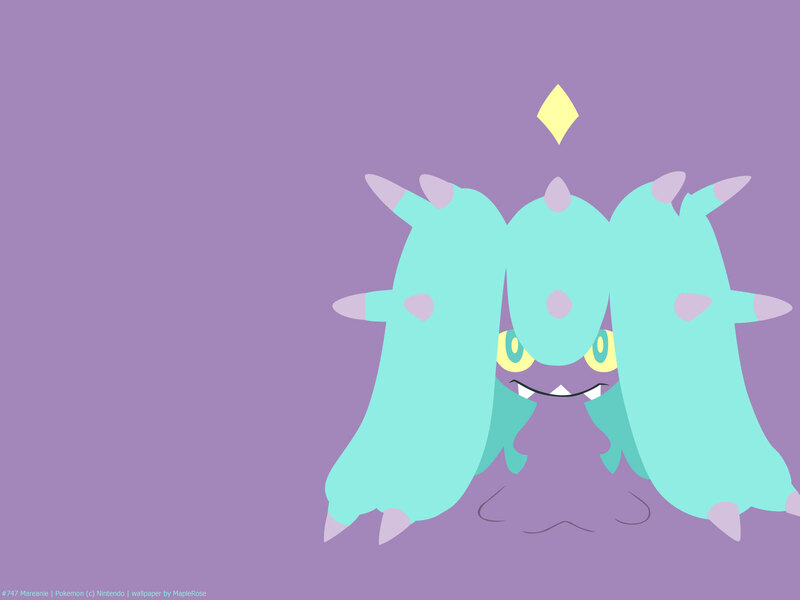 In the anime, James caught a Mareanie, who got attached to him because his hair reminds her of another Mareanie. It would chomp down on his head and poison him (you know, like how James’s Pokemon tend to do), making him look like a Mareanie. There’s also an alt coloured Mareanie in the anime who was a senpai of James’s Mareanie; it has different colours, but is not a shiny. Mareanie has a unique ability in Merciless, which will always crit poisoned targets (unless target has Battle Armor or Shell Armor). It pairs really well with the move Venoshock, which doubles damage on poisoned targets. Stat-wise, it has better defensive stats than offensive ones. Its Attack and Sp Attack aren’t great, but being able to get guaranteed crit helps.